Pharmacology, Parasitology and Clinical Pharmacology. – Pharmacology and Parasitology subjects are taught to Fourth year DVM students. – Clinical Pharmacology is taught to Fifth year DVM students. The aim of the course in Veterinary Pharmacology is to equip the students with the basic and essential knowledge of drugs, their actions and uses and thus enable them to apply and meaningfully correlate this knowledge to their subsequent studies of clinical veterinary subjects and livestock production subjects. This course includes materia medica and pharmacodynamics, the basic principle of Pharmacology, routes of administration, absorption, distribution, biotransformation and excretion of the drug, importance of materia medica in Myanmar. The aim of the course in Veterinary Parasitology is to equip the students with the basic and essential knowledge of parasites and parasitic diseases. Therefore, enable them to apply this knowledge in animal disease diagnosis and to meaningfully correlate this knowledge to their subsequent studies of clinical veterinary subjects and livestock production subjects. 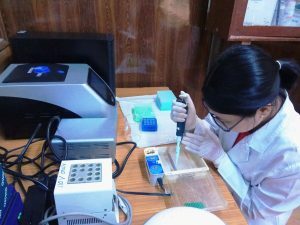 Emphasis is given to epidemiology, pathogenesis and pathology, diagnosis, immunity, treatment and control of the most common parasites in Myanmar. Zoonotic parasites and their importance in public health are dealt with. The aim of the course in Clinical Pharmacology is to enable students to apply the knowledge of drugs to studies of clinical veterinary subjects and livestock production subjects. This course includes the therapeutic application of antibiotics, anti-inflammatory drugs, drugs acting on the central nervous system, the effect of poisons and treatment of poisonings. 1. 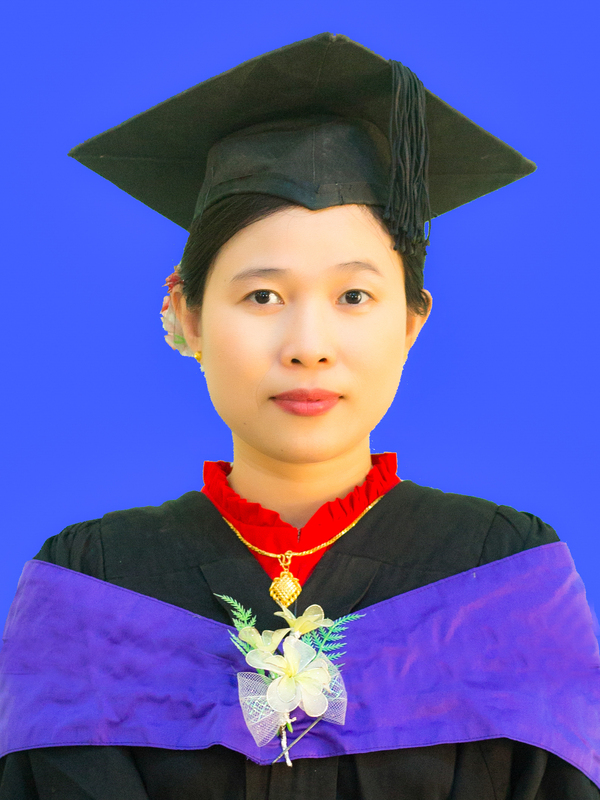 Bawm, S., Kakisaka, K., Thu, M.J., Oo, YMN., Soe, NC., Win, SY., Htun, LL., Win, MM., Suzuki, H., Nakao, R., Katakura, K (2018). First molecular detection of Theileria luwenshuni from goats in Myanmar. Parasitol. Res. 117(10):3361-3364 . 2. Hmoon MM, Htun LL, Wai SS, Thu MJ, Aung ST, Chel HM, Thaw YN, Win SY, Soe NC, Bawm S (2018). Morphological and Molecular Identification of Ticks Infested in Stray Dogs within Nay Pyi Taw Area, Myanmar. Asian J. Life Sci. 6(2): 41-45. Aung ST, Wai SS, Htun LL, Bawm S (2018). Investigation of seasonal distribution of mosquito species in Nay Pyi Taw area, Myanmar. S. Asian J. Life Sci. 6(1): 7-13. Kaewthamasorn MK, Takeda M, Saiwichai T, Gitaka JN, Tiawsirisup S, Imasato Y, Mossaad E, Sarani A, Kaewlamun W, Channumsin M, Chaiworakul S, Katepongpun W, Teeveerapunya S, Panthong j, Mureithi DK, Bawm S, Htun LL, Win MM, Ismail AA, Ibrahim AM, Suganuma K, Hakimi H, Nakao R, Katakura K, Asada M, Kaneko O (2018). Genetic homogeneity of goat malaria parasites in Asia and Africa suggests their expansion with domestic goat host. Scientific Reports. 8: 5827. Satoshi D. Ohdachi , Gohta Kinoshita, Abdul Nasher, Takahiro Yonezawa, Satoru Arai, Fuka Kikuchi, Kyaw San Lin, Saw Bawm (2017). Re-evaluation of the phylogeny based on mitochondrial cytochrome b gene in the house shrew, Suncus murinus-S. montanus species complex, with special reference to Yemen and Myanmar populations, Journal of Wildlife and Biodiversity. 1(2): 79-87. Ni Ni Myint Yu Yu Aye, Yu Yu Aung, Saw Bawm (2017). Detection of plant parasitic nematodes in the soil of crop field in Meiktila area, Myanmar Journal of Scientific Agriculture. 1: 258-263. Satoshi D. Ohdachi, Gohta Kinoshita, Sen-ichi Oda, Masaharu Motokawa, Takamichi Jogahara, Satoru Arai, Son Truong Nguyen, Hitoshi Suzuki, Ken Katakura, Saw Bawm, Myin Zu Min, Thida Lay Thwe, Chandika D. Gamage, Rosli Hashim, Hasmahzaiti Omar, Ibnu Maryanto, Taher Ghadirian, Marie Claudine Ranorosoa, Junji Moribe and Kimiyuki Tsuchiya (2016). Intraspecific phylogeny of the house shrews, Suncus murinus-S. montanus species complex, based on the mitochondrial cytochrome b gene. Mammal Study, 41: 229–238. Tin Aye Khaing, Saw Bawm, Kyaw San Linn, Tin Tin Myaing, Lat Lat Htun (2016). Survey of the Porcine Trichinellosis in Slaughtered Pigs in Nay Pyi Taw, Myanmar. International Letters of Natural Sciences, 60: 46-51. 9. MJ Thu, LL Htun, SS Wai, TT Myaing, S Bawm (2016). Investigation on infection of trematodal larvae in snails in Taunggyi and Ayetharyar Areas, Myanmar. The Journal of Advances in Parasitology, 3 (1): 16-21. Saw Bawm, Htun, L.L. Maw, N.N. Ngwe, T., Tosa, Y., Kon, T., Kaneko, C., Nakao, R., Sakurai, T., Kato, H., Katakura, K. (2016). Molecular survey of Babesia infections in cattle from different areas of Myanmar, Ticks and Tick-borne Diseases, 7(1): 204–207. Bawm S, Maung WY, Win MY, Thu MJ, Chel HM, Khaing TA, Wai SS, Htun LL, Myaing TT, Tiwananthagorn S, Igarashi M, Katakura K (2016). Serological survey and factors associated with Toxoplasma gondii infection in domestic goats in Myanmar. Scientifica (Cairo). 4794318, Jan, 2016. 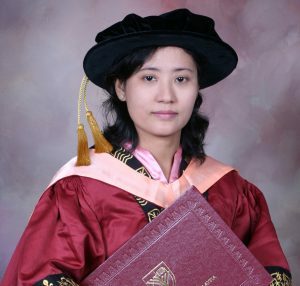 Tin Aye Khaing, Saw Bawm, Soe Soe Wai, Ye Htut, and Lat Lat Htun (2015). Epidemiological survey on porcine cysticercosis in Nay Pyi Taw area, Myanmar, Journal of Veterinary Medicine, Article ID 340828. Saw Bawm and Lat Lat Htun (2015). Parasitic zoonoses in livestock and domestic animals of Myanmar and neighbouring countries, Asian Journal of Animal and Veterinary Advances, 10 (11): 740–751. Saw Bawm, Tint Tint Soe, Lat Lat Htun (2015). Seasonal abundance of horse flies (Diptera: Tabanidae) and stable fly (Diptera:Muscidae) collected by Nzi trap within Nay Pyi Taw Area, Myanmar, Journal of Environmental and Applied Research, 3 (1):1-6. Saw Bawm, Sandar Kyi, Khin Khin Lay, Lat Lat Htun, Tin Tin Myaing (2014). Prevalence and Associated Risk Factors of Cryptosporidium and Giardia species in Cattle within Mandalay Region, Myanmar, The Journal of Advances in Parasitology, 1(4): 49-53. Saw Bawm, Kohei Shimizu, Junichi Hirota, Yusuke Tosa, Lat Lat Htun, Ni Ni Maw, Myint Thein, Hirotomo Kato, Tatsuya Sakurai and Ken Katakura (2014). Molecular prevalence and genetic diversity of bovine Theileria orientalis in Myanmar, Parasitology International, 63(4): 640-645. Soe Soe Wai, A.A. Saleha, Z. Zunita, L. Hassan, A. Jalila and A.H. Shah (2014). Genetic Relatedness among Helicobacter pullorum Isolates from Broiler Chickens. International Journal of Poultry Science. 13(4): 240-245. Ichikawa M, Kondoh D, Bawm S, Maw NN, Htun LL, Thein M, Gyi A, Sunn K, Katakura K, Itagaki T. (2013). Morphological and molecular characterization of Explanatum explanatum from cattle and buffaloes in Myanmar. Journal of Veterinary Medical Science, 75(3): 309-14. Soe Soe Wai, A A Saleha, Z Zunita, L Hassan and A Jalila (2012). Occurrence of co-infection of Helicobacter pullorum and Campylobacter spp. in broiler and village (indigenous) chickens. Pakistan Veterinary Journal. 32: 503-506. Soe Soe Wai, A A Saleha, Z Zunita, L Hassan and A Jalila (2012). Helicobacter infection in pet and food animals: Occurrence and zoonotic potential. Journal of Veterinary Malaysia. 24(1&2): 14-17. Mansouri-najand, L., Saleha, A. A. and Soe Soe Wai (2012). Prevalence of multidrug resistance Campylobacter jejuni and Campylobacter coli. in chickens slaughtered in selected markets, Malaysia. Tropical Biomedicine. 29 (2): 231-138. 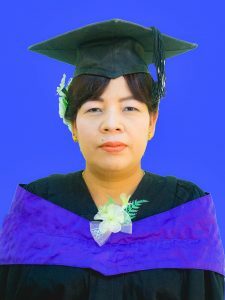 Ichikawa M, Bawm S, Maw NN, Htun LL, Thein M, Gyi A, Sunn K, Katakura K, Itagaki T. (2011). Characterization of Fasciola spp. in Myanmar on the basis of spermatogenesis status and nuclear and mitochondrial DNA markers. Parasitology International, 60(4):474-9. Choo, L.C., Saleha, A.A., Wai, S.S., Fauziah, N. (2011). Isolation of Campylobacter and Salmonella from house flies (Musca domestica) in a university campus and a poultry farm in Selangor, Malaysia, Tropical Biomedicime 28(1): 16-20. Shah, A. H., Saleha, A.A., Murugaiyah, M., Zunita, Z., and Soe Soe Wai. (2011). arcobacter butzleri – a dominant species among arcobacters isolated from beef retailed in Selangor, Malaysia. Malaysian Journal of Veterinary Research, 2: Supplement 1: 352. Saw Bawm, Saruda Tiwananthagorn, Kyaw San Lin, Hirota Junichi, Takao Irie, Lat Lat Htun, Ni Ni Maw, Tin Tin Myaing, Nyunt Phay, Satoshi Miyazaki, Tatsuya Sakurai, Yuzaburo Oku, Hideyuki Matsuura, Ken Katakura (2010). Evaluation of Myanmar medicinal plant extracts for antitrypanosomal and cytotoxic activities, Journal of Veterinary Medical Science, 72(4): 525-8. Lat-Lat H, Sani RA, Hassan L, Sheik-Omar AR, Jeabalan S, Hishamfariz M, Rohani K, Azlan E, Ramli P (2010). Lungworm of cattle in Malaysia. Tropical Medicine. 27(2): 236-40. Tin Tin Myaing (2010). Handbook of Veterinary Epidemiology (English) (compiled and edited). Nakao R, Mizukami C, Kawamura Y, Subeki, Bawm S, Yamasaki M, Maede Y, Matsuura H, Nabeta K, Nonaka N, Oku Y, Katakura K. (2009). Evaluation of efficacy of bruceine A, a natural quassinoid compound extracted from a medicinal plant, Brucea javanica, for canine babesiosis. Journal of Veterinary Medical Science, 71(1): 33-41. A.A. Saleha, Tin Tin Myaing, K.K. GanapathyI. Zulkifli, R. Raha and K. Arifah (2009). Possible Effect of Antibiotic-Supplemented Feed and Environment on the Occurrence of Multiple Antibiotic Resistant Escherichia coli in Chickens. International Journal of Poultry Science. 8 (1): 28-31. Saw Bawm, Hideyuki Matsuura, Ahmed Elkhateeb, Kensuke Nabeta, Subeki, Nariaki Nonaka, Yuzaburo Oku, Ken Katakura (2008). In vitro antitrypanosomal activities of quassinoid compounds from the fruits of a medicinal plant, Brucea javanica, Veterinary Parasitology, 158(4): 288-94. Lat-Lat H. Hassan, L., Sani, R.A., Sheikh-Omar, A. R., Hishammfariz, M. and Ng, V. (2007). First report of bovine lungworm disease in South-East Asia. Tropical Biomedicine. 24(1): 77-81. Lat-Lat H., Hassan, L., Rehana A. Sani, Sheikh-Omar, A.R. and Chandrasegaram, S. (2006). Condemnation of lungs in abattoirs in Peninsular Malaysia due to parasitic infection from 1998 – 2004. Tropical Biomedicine 23(1): 61–68. Than Lwin, Allan J. Probert (1975). Effect of certain fasciolicides on malate dehydrogenase activity of Fasciola hepatica: A possible biochemical mode of action of hexachlorophene and oxyclozanide. Pest Management Sc. 6(2): 121-128. Babi Kyi Soe, Saw Bawm, Lat Lat Htun, Soe Soe Wai, Tin Tin Myaing (2017). Prevalence and risk factors for shedding of Cryptosporidium species oocysts in cattle within Mingaladon Township, Yangon Region. Presented in Annual Conference of Myanmar Veterinary Association held on 9-10 December, 2017, University of Mandalay, Convocation Hall. Khin Myint Myint, Lat Lat Htun, Saw Bawm, Soe Soe Wai, Tin Tin Myaing (2017). Prevalence of Taenia solium cyst of pigs collected from Ywar Thar Gyi slaughterhose, East Dagon with associated risk factors. Presented in Annual Conference of Myanmar Veterinary Association held on 9-10 December, 2017, University of Mandalay, Convocation Hall. Khin Khin Pyae, Lat Lat Htun, Saw Bawm, Soe Soe Wai, Kyaw San Linn, Tin Tin Myaing (2017). Prevalence of mange mite in goats within Natmauk Township, Magway Region. 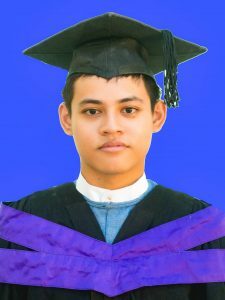 Presented in Annual Conference of Myanmar Veterinary Association held on 9-10 December, 2017, University of Mandalay, Convocation Hall. Khin Pyae Pyae Phyo, Lat Lat Htun, Saw Bawm, Soe Soe Wai, Kyaw San Linn, Tin Tin Myaing (2017). Prevalence of bovine fasciolosis associated with sharing water sources as risk factor for public health in Magway Township, Magway Region. Presented in Annual Conference of Myanmar Veterinary Association held on 9-10 December, 2017, University of Mandalay, Convocation Hall. Saw Bawm (2016). “Molecular investigations of some important parasites in Myanmar” presented at Myanmar Veterinary Association Annual Meeting (Yangon, 3-4 December, 2016). Saw Bawm (2016).“Serological survey of Toxoplasma gondii infection in farm animals in Myanmar and sequencing analysis of parasite oocysts”. Presented in The 16th Annual Workshop of the Regional Network on Asian Schistosomiasis and Other Helminth Zoonosis (RNAS+) (Yangon, 26-28 October, 2016). Saw Bawm (2014). “Role of pet dogs and cats in the transmission of parasitic zoonoses, with a focus on echinococcosis and toxoplasmosis” presented at Myanmar Veterinary Association Annual Meeting (Yangon, 2-3 February, 2014). Saw Bawm (2014). “Impact of zoonotic parasitic diseases in livestock production in Myanmar” presented at Myanmar Veterinary Association Annual Meeting (Mandalay, 27-28 December, 2014). 9. Saw Bawm; Soe Soe Wai; Kyaw San Lin; Lat Lat Htun; Ni Ni Maw; Tin Tin Myaing; Katakura, K. (2014). “Molecular prevalence of bovine piroplasmoses in Myitkyina, Northern Myanmar” presented at Myanmar Veterinary Association Annual Meeting (Mandalay, 27-28 December, 2014). Soe Soe Wai, Saleha, A. A., Zunita, Z., Hassan, L. and Jalila, A. (2014). Antibiotic resistance pattern of Helicobacter pullorum isolated from broiler chickens in Malaysia. Myanmar Veterinary Journal, First International Conference and Annual Meeting of Myanmar Veterinary Journal, 2-3 Feb 2014, Myanmar Convention Center, Yangon. Soe Soe Wai, Saleha, A. A., Zunita, Z., Hassan, L. and Jalila, A. (2014). Enterohepatic Helicobacter spp. (EHS) including Helicobacter pullorum: An Emerging Human Food-borne Pathogen? Myanmar Veterinary Journal, Conference and Annual Meeting of Myanmar Veterinary Journal, 27-28 December 2014, City Hall, Mandalay. Saw Bawm, Hideyuki Matsuura, Sumio Chono, Ken Katakura, Kyaw San Linn, Lat Lat Htun, Tin Tin Myaing (2013). “In vitro Antitrypanosomal Activities of Liposomal Formulations of Quassinoids, Isolated from Medicinal Plant, Brucea javanica” presented at Myanmar Veterinary Association Annual Meeting (UVS, Nay Pyi Taw, 30-31, March, 2013). Lat Lat Htun (2011). Basic Veterinary Epidemiology (Published and edited) (English) (collaboration with FAO) only for UVS. Saw Bawm (2011). Basic Veterinary Epidemiology (Published and edited) (English) (collaboration with FAO) only for UVS. Myint Myint Hmon, Lat Lat Htun, Soe Soe Wai, Saw Bawm, Kyaw San Linn, May Thet Hnin OO and Tin Tin Myaing (2011). Prevalence study of E. coli and Salmonella isolated from raw chicken meat in retail outlets. Myanmar Veterinary Association Journal, Vol. 14, no 1.December 2011 . 125-131. Tin Tin Myaing (2009). Diseases transmitted from bats to human. Submitted to Myanmar Daily Newspaper. Tin Tin Myaing (2008). Zoonotic bacteria (Leptospira) transmitted from animals to human. New Light of Myanmar Daily Newspaper, 48(70): 10, 9-12-2008. Tin Tin Myaing (2008). Zoonotic bacteria (Leptospira) transmitted from animals to human. The Mirror, Daily Newspaper, pp. 6, 8-12-2008. Tin Tin Myaing (2008). Campylobacter and Escherichia coli transmitted through Foods of animal origin to human. Myanmar Livestock Journal, Published by Myanmar Veterinary Association, 1: 11-16. Lat-Lat H., Hassan, L., Sani, R.A., Sheikh-Omar, A. R. and Sharma, R.S.K. (2008). Morphological evaluation of the Malaysian bovine lungworm, Dictyocaulus viviparus. Presented on the Annual Research Conference held in Yezin, Nay Pyi Taw on November, 2008. Tin Tin Myaing (2007). Public health implication of zoonotic diseases. The book was awarded second prize (applied science paper) for the year 2005 as National Literary Manuscripts Awards. The prize was distributed by HE Minister for Information on 30th January 2007 at Townhall, Nay Pyi Taw, Myanmar. (200pages). Kyaw San Linn, Soe Soe Wai, Latt Latt Tun, May Thet Hnin Oo and Tin Tin Myaing (2007). Studies on Anthelmintic activity of Acidifier and Piperazine in experimentally infested Ascaridia galli in chicken. Journal of Myanmar Veterinary Association. 27th November 2007, UVSc, Yezin, Myanmar. Tin Tin Myaing (2006). Globalization, Role of veterinarian for animal and public health. Myanmar Veterinary Journal, November 2006, pp. 58-61. Tin Tin Myaing, Soe Soe Wai and Tay Zar Aye Cho (2006). Competitive Exclusion, Journal of Myanmar Livestock. Myanmar Veterinary Association publication, Number 1/ 2006. pp. 49-52. Tin Tin Myaing, Soe Soe Wai, Kyaw San Lin, Khin Thida Sunn and Khin Ngae Aung (2006). In Vitro antibiotic sensitivity test to five antimicrobials and Allium sativum (garlic) to Escherichia coli 055K59 isolated from colibacillosis outbreak poultry farm. 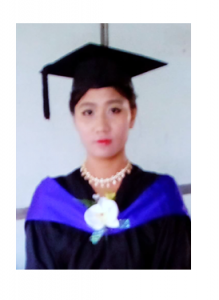 In: Proceedings of the Annual Research Conference (Livestock and Fishery Sciences) Myanmar Academy of Agricultural, Forestry, Livestock and Fishery Sciences. The conference was held on 26th -28th May, 2006, International Business Center, Yangon, Myanmar. pp. 196-208. Tin Tin Myaing, Soe Soe Wai, Kyaw San Lin, Khin Thida Sunn and Khin Ngae Aung (2006). 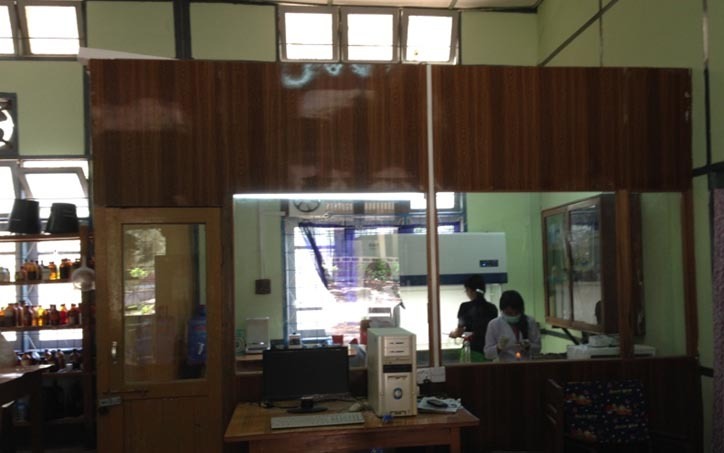 Screening of Flouroquinolone residues in chicken muscles in four local Tin areas in Myanmar. In: Proceedings of the Annual Research Conference (Livestock and Fishery Sciences) Myanmar Academy of Agricultural, Forestry, Livestock and Fishery Sciences. The conference was held on 26th -28th May, 2006, International Business Center, Yangon, Myanmar. pp. 209-219. Soe Soe Wai, Tin Tin Myaing, Kyaw San Lin, Khin Thida Sann and Khin Nge Aung (2006). In vitro antibiotic sensitivity test to five antimicrobials and Allium sativum (Garlic) to Escherichia coli O55 K59 isolated from colibacillosis outbreak poultry farm. Accepted by Proceedings of Myanmar Academy of Agricultural, Forestry, Livestocks and Fisheries Sciences. Annual Conference, held on 27th-28th May, 2006. International Business Center (IBC), Yangon, Myanmar. Tin Tin Myaing (2005). Pesticides poisoning in livestock. Myanmar Technological Journal. 34-38. Tin Tin Myaing (2005). Globalization: Role of Veterinarian on Animal and Public Health. MVA Annual Conference, 23rd December 2005, held on International Business Center, Yangon. Tin Tin Myaing (2005). Public Health Implication of Zoonotic diseases. National literary manuscripts award paper (Myanmar Language). Tin Tin Myaing and A. A. Saleha (2005). Comparison of test performances between four plate test and Fast antimicrobial inhibition test in screening of antibiotic residues from chicken meat. 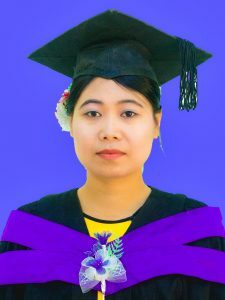 In: Proceedings of the Annual Research Conference, Myanmar Academy of Agricultural, Forestry, Livestock and Fishery Sciences. June, 2005, Yangon, Myanmar. pp. 287-303. (The paper was awarded by HE Minister for Information as a best scientific paper, for 25th World Food Day Commemoration and Prize Honorarium Ceremony of FAO on 16th October, 2005, held at International Business Center, Yangon, Myanmar). Tin Tin Myaing (2004). Public health implication of emerging zoonoses. (article) New Light of Myanmar Daily Newspaper. 7-5-2004 . pp. 7. Tin Tin Myaing (2004). “Antimicrobials”. Clinical Veterinary Medicine, Series (I). Ed. By Professor Dr. Min Soe (PhD, Massey). Ministry of Livestock and Fisheries’ Yangon, Myanmar. Tin Tin Myaing (2004). Indigenous Veterinary Medicine for Animal health. Myanmar Technology Journal, 1/2004, pp. 1-10. Tin Tin Myaing (2004). The Future of Veterinarians; Public Health Professionals For 21st Century, Myanmar Veterinary Association Journal, November 2004, pp. 69-71. Tin Tin Myaing (2004). Bacterial Zoonoses (Text Book). Tin Tin Myaing (2003). Food Safety (National Literary manuscripts award paper) (Myanmar language). Tin Tin Myaing (2003). High Diversity of Plasmid DNA in Escherichia coli isolates from Chicken Meats. Journal of Agricultural, Forestry, Livestock and Fishery Sciences. Myanmar Academy of Agricultural, Forestry, Livestock and Fishery Sciences. Yangon. 34-40. Tin Tin Myaing (2003). Roles of veterinarians relevant to public health, Shwe-Pu Zon, Journal. September 2003. 48-53. Tin Tin Myaing (2003).Water for public health. Shwe-Pu Zon, Journal. August 2003. 48-51. Tin Tin Myaing (2003). Public Health and Drinking Water Contamination (Text Book). Tin Tin Myaing (2003). Animals and Public Health. (Article). New Light of Myanmar Daily Newspaper. 20- 4-2003, 22-4-2003, 23-4-2003, 24-4-2003, 19-5-2003, 20-5- 2003, 23-5-2003. Tin Tin Myaing (2003). The Future of Veterinarians: Public Health Professional for the 21st Century (Article) New Light of Myanmar Daily Newspaper. 17-9-2003. pp. 7. Tin Tin Myaing (2003). Food Safety and Antibiotic Resistant Bacteria. (Article). New Light of Myanmar Daily Newspaper, 19 -9-2003. pp. 7. Tin Tin Myaing (2003). Antibiotic Resistant Escherichia coli from Foods of Animal Origin. Journal of Myanmar Veterinary Association, Vol. 3/ 2003.32-38. Tin Tin Myaing (2003). Public Health Aspects of Antibiotic Residues in Food of Animal Origin. Myanmar Livestock Breeding Journal. 32-36. Saw Bawm, Thein Tun and Lat Lat Htun (2003). A study on the comparative efficacy of Albendazole, Avermectin and seed of Leucaena glauca (a-we-ya) in the experimental Ascaridia galli infestation. Proceedings of the Annual Research Conference held in Yangon on May, 2003. Tin Tin Myaing, Saleha, A. A., Arifah, A. K and Raha, A. R. (2002). Public Health aspects of Antibiotics use in Farm Animals. Journal of Agricultural, Forestry, Livestock and Fishery Sciences. Academy of Agricultural, Forestry and Livestock Sciences. Myanmar. pp. 146-163, August 2002. Soe Soe Wai and Yi Yi (2002). Detection of drug residues in poultry experimentally induced with oxytetracycline, ampicillin and ciprofloxacin. In: Proceedings of Myanmar Academy of Agricultural, Forestry, Livestock and Fisheries Sciences. Annual Conference, held on 28th-30th June, 2002. International Business Center (IBC), Yangon, Myanmar. pp. 79-89. Tin Tin Myaing and A.A. Saleha (2001). Screening for antibiotic residues in chicken meat using four plate test. Proceeding of Myanmar Academy of Agricultural, Forestry, Livestock and Fisheries Science, 91- 98. Ministry of Livestock and Fisheries, Yangon, Myanmar. Lat Lat Htun and Thein Tun (2001). The study of the effect of norfloxacin on the development of experimental Ascaridia galli infestation in chicken. Proceedings of the Annual Research Conference held in Yangon on May 3-5, 2001. Lat Lat Htun and Thein Tun (2001). The study of the effect of an indigenous seed on the development of experimental Ascaridia galli infestation in chicken. Myanmar Vet. J. October, 2001. Lat Lat Htun and Thein Tun (2000). The effect of oral administration of Mebendazole on the natural tape worm infestation in poultry. Proceedings of the Annual Research Conference held in Yangon on April 3-5, 2000. pp. 172. Tin Tin Myaing (1999). Aflatoxicosis in domestic animals, Livestock Breeding Journal. 8/9: 17-22. Tin Tin Myaing (1999). Pesticides toxicity in farm animals, Shwe-Pu-Zon Journal. 2/3: 126-128. Thein Tun and Lat Lat Htun (1999). Fencare 4% premix (pig formula) for the treatment of strongylosis in elephants. Myanmar Vet. J. October, pp. 11. Saw Bawm, Kathy Moe, Baby Kyi Soe, Hla Myet Chel, Lat Lat Htun, Ryo Nakao and Ken Katakura (2017). “Detection of Cryptosporidium parasite in ruminants from highland and lowland areas of Myanmar”. Presented in the 8th International Conference on Agriculture and Animal Science (ICAAS 2017). October 28-30, Los Angeles, USA. Saw Bawm, May June Thu, Lat Lat Htun, Mar Mar Win, Ryo Nakao, Ken Katakura. Molecular detection and genetic diversity of canine Babesia parasites from Myanmar (2017). Presented at The 160th Annual Meeting of the Japanese Society of Veterinary Science (Kagoshima University, 13 to 15 September, 2017). Saw Bawm, Kay Thi Moe, Hla Myet Chel, Lat Lat Htun, Ryo Nakao, Ken Katakura (2017). Detection of Cryptosporidium parasites in ruminants from highland areas of Myanmar presented at The 86th Annual Meeting of the Japanese Society of Parasitology (Sapporo, 28 to 29 May, 2017). Hnin Moe Thu, Lat Lat Htun, Lwin Naing Oo, Kyaw San Lin, Saw Bawm (2017). Prevalence of tick-borne pathogens in cattle within the central dry zone of Myanmar. ACIAR, Australia, November, 2017. Saw Bawm, Aye Zar Phyu, Lat Lat Htun, Ryo Nakao, Ken Katakura (2016). “Seroprevalence of Toxoplasma gondii infection in cats in Myanmar and sequencing analysis of the parasite oocysts”. Presented at The 159th Annual Meeting of the Japanese Society of Veterinary Science (Nihon University, Tokyo, 6 to 8 September, 2016). Saw Bawm, Lat Lat Htun, Ryo Nakao, Hirotomo Kato, Ken Katakura (2016). “Molecular Survey of Bovine Piroplasms in Myanmar”. Presented at The 85th Annual Meeting of the Japanese Society of Parasitology (Miyazaki, 19 to 20 March, 2016). Saw Bawm, Wint Yi Maung, Yu Nandi Thaw, Lat Lat Htun, Ryo Nakao, Ken Katakura (2016). “Serological survey of Toxoplasma gondii infection in farm animals in Myanmar”. Presented in the 19th International Congress for Tropical Medicine and Malaria (ICTMM 2016). September 18- 22, 2016, Brisbane, Australia. Soe Soe Wai, Lat Lat Htun, Saw Bawm, Kyaw San Linn, May Thet Hnin Oo, Ye Htut Aung and Tin Tin Myaing (2016). Detection of antimicrobial resistance associated with food-borne bacteria isolated from livestock and livestock products. Research Unit in Microbial Food Safety and Antimicrobial Resistance Department of Veterinary Public Health, Faculty of Veterinary Science, Chulalongkorn University. T.T. Myaing, K.K. Thaw, L.L. Htun, M.M. Mhon, S. Bawm, K.S. Linn, S.S. Wai (2016). Antimicrobial resistant pattern of methicillin-resistant Staphylococcus aureus isolated from stray dogs’ nasal swabs to fifteen antimicrobials in Myanmar. International Journal of Infectious Diseases. December 2016. Vol. 53, supplement pp. 48. Sithu Aung, Saw Bawm, Lat Lat Htun, Soe Soe Wai, Ken Katakura, Ryo Nakao (2016). Prevalence of Canine Heartworm (Dirofilaria immitis) in Dogs in Downtown Area and Sub-urban Area of Pyinmana Township, Myanmar. Parasitology Conference, Sapporo, Japan. Tin Tin Myaing (2011). Climate change and emerging zoonotic diseases. Khon Kaen Veterinary Journal, Khon Kaen, Thailand, 21(2): 172-182. Tin Tin Myaing (2011.) Isolation, Identification, serotyping and evaluation of diagnostic test on Leptospira from urine of slaughtered cattle. Presented at International meeting on Emerging Diseases and Surveillance, (IMED 2011) Hilton Hotel, 3rd– 6th February 2011, Vienna, Austria. Tin Tin Myaing, H.H.Win, L.L. Htun, S.S. Wai, S. Bawm, K.S Lin and M.T.H. Oo (2011). Isolation, Identification, serotyping and evaluation of diagnostic test on Leptospira from urine of slaughtered cattle. In: Proceedings of International meeting on Emerging Diseases and Surveillance (IMED 2011) Vienna, Austria. pp. 94. imed.isid.org/. Kyaw San Lin, Ei Ei Aung, Tin Tin Myaing, May Thet Hnin Oo, Saw Bawm, Soe Soe Wai and Lat Lat Htun (2011). Seasonal influence of gastrointestinal nematodes infestation of goats in Yezin, Myanmar. In: Proceedings of “The international conference on global issues influencing human and animal health for ASEAN one health concept”. Khon Kaen University, Khon Kaen, Thailand, pp. 244. Soe Soe Wai, Saleha, A.A., Zunita, Z., Hassan, L., Jalila, A. (2010). Antibiotic resistance in Helicobacter pullorum isolated from broiler chickens and determination of plasmid profile. In: Proceedings of the 22th Annual Congress of Veterinary Association Malaysia: 4th Asian Wildlife Society of Zoo and Wildlife Medicine International Meeting. 30th July -1st August 2010, Kuala Lumpur, Malaysia. Soe Soe Wai, Saleha, A. A., Zunita, Z., Hassan, L., Jalila, A., Zoraina, A.K., Hazeeq, H.A. and Latif, A.I. (2009). Zoonotic non-Helicobacter pylori helicobacters (NHPH): Helicobacter pullorum in chickens in Malaysia. In: Proceedings of the 21th Annual Congress of Veterinary Association Malaysia: One World One Health. 7-9th August 2009, Port Dickson, Negeri Sembilan, Malaysia. Soe Soe Wai, Saleha, A. A., Zunita, Z., Hassan, L., Jalila, A. (2009). Isolation and identification of Helicobacter pullorum from broiler chickens in Malaysia. In: Proceedings of the International Conference on Animal Health and Human Safety. 6-8 December 2009, Putrajara, Malaysia. S. Bawm, H. Matsuura, A. Elkhateeb, K. Nabeta, Subeki, N. Nonaka, Y. Oku and K. Katakura (2009). “Isolation of quassinoids from a medicinal plant, Brucea javanica and their in vitro activities against Trypanosoma evansi” Presented in the 11th International Congress of the European Association for Veterinary Pharmacology and Toxicology (EAVPT2009). July 12-16, 2009, Leipzig, Germany. 19. Saw Bawm, Rie Tanaka, Saruda Tiwananthagorn, Hideyuki Matsuura, Subeki, Kensuke Nabeta, Sumio Chono, Kazuhiro Morimoto, Yuzaburo Oku and Ken Katakura (2009). “Quassinoids isolated from a medicinal plant, Brucea javanica and their in vitro antitrypanosomal activities in liposomal formulation” presented in the 22nd World Association for the Advancement of Veterinary Parasitology Conference (WAAVP 2009). August 8-13, 2009, Calgary, Canada. S Bawm, H Matsuura, S Subeki, A Elkhateeb, K Nabeta, N Nonaka, Y Oku and K Katakura (2009). “Quassinoids from a medicinal plant Brucea javanica: their in vitro activities against Trypanosoma evansi”. Presented in the 147th Meeting of the Japanese Society of the Veterinary Science. April 2-4, 2009, Utsunomiya, Japan. Saw Bawm, Hideyuki Matsuura, Satoshi Miyazaki, Kyaw San Lin, Junichi Hirota, Takao Irie, Lat Lat Htun, Ni Ni Maw, Saruda Tiwananthagorn, Tatsuya Sakurai, Yuzaburo Oku, Ken Katakura (2009). “Evaluation of Myanmar medicinal plants for antiparasitic and cytotoxic activities” presented in the 148th Meeting of the Japanese Society of the Veterinary Science. September 25-27, 2009, Tottori, Japan. Min Maung Cho, Lat Lat Htun, Soe Soe Wai, Kyaw San Linn, May Thet Hnin Oo, Myint Thein and Tin Tin Myaing (2009). Serotyping and antibiotic sensitivity of Escherichia coli isolated from colibacillosis infected pig farms. Presented on AAVS 2009 meeting, Food Safety and Zoonosis Symposium held in Seoul, Korea on April 23-25, 2009. S Bawm, S Subeki, R Nakao, H Matsuura, A Elkhateeb, K Takahashi, K Nabeta, N Nonaka, Y Oku and K Katakura (2008). “Antibabesial and antitrypanosomal activity of quassinoid compounds isolated from the medicinal plant Brucea javanica”. Presented in the 17th International Congress for Tropical Medicine and Malaria (ICTM2008). September 29-October 3, 2008, Jeju, Korea. 24. Saw Bawm, Subeki, Ryo Nakao, Hideyuki Matsuura, Kosaku Takahashi, Kensuke Nabeta, Jun Matsumoto, Nariaki Nonaka, Yuzaburo Oku and Ken Katakura (2007). “In vitro antitrypanosomal activity of quassinoid compounds isolated from the medicinal plant Brucea javanica”. Presented in the 76th Annual Meeting of the Japanese Society of Parasitology. March 29-30, 2007, Nagasaki, Japan. Tin Tin Myaing and Tay Zar Aye Cho (2007). Wild life as a source of zoonotic diseases. In: Proceedings of 13th International Symposium for World Association of Veterinary Laboratory Diagnostician, Melbourne, Australia. pp. 59. Tin Tin Myaing, Latt Latt Htun, Soe Soe Wai, Kyaw San Linn and Tay Zar Aye Cho (2007). Prevalence study of parasitic infestation in Myanmar timber Elephant In: Proceeding of 13th International Symposium for World Association of Veterinary Laboratory Diagnostician, Melbourne, Australia. 2007. pp. 159. Saw Bawm, H. Kashiwabara, T. Endo, M. Takahashi, K. Ueda, H. Nakatsuji and S. Kondo (2006). “Relationships among soil compaction, soil animals and nitrifying bacteria under the different stocking rate on set-stocking pasture by dairy heifers”. Presented in the Annual Meeting Japanese Society of Grassland Science. March 25-27, 2006, Tokyo University, Japan. Tin Tin Myaing (2006). Emerging zoonotic diseases in developing countries. In: Proceedings of Epidemiology & Animal Health Management, Food Safety, Animal Welfare & Biosecurity. Federation of Asian Veterinary Associations. NZVA/14th FAVA Conference, 25-27 May 2006, Sky City convention center, Auckland, New Zealand. pp. 345-357. Vet Learn Foundation, Publication No. 253. Massey University, Palmerston North, New Zealand. Tin Tin Myaing, Khin Ngae Aung, Soe Soe Wai, Kyaw San Lin and Khin Thi Da Sunn (2006). Antibiotic resistant Escherichia coli isolated from free ranged village chickens in local area without giving antibiotic. In: Proceedings of Epidemiology & Animal Health Management, Food Safety, Animal Welfare & Biosecurity. Federation of Asian Veterinary Associations. NZVA/14th FAVA conference, 25-27 May 2006, Sky City Convention Center, Auckland, New Zealand. pp. 445.VetLearn Foundation, Publication No. 253. Massey University, Palmerston North, New Zealand. Lat-Lat H., Rehana A. Sani, Hassan, L., Sheikh-Omar, A.R., Ng, V., Hishammfariz, M., Rohani, K., Azlan, E., Jeyabalan, S. and Ramli, P. (2006). Seroprevalence of cattle parasitologically ‘positive’ for lungworm infection in Peninsular Malaysia. 42nd Annual Scientific Seminar Malaysian Society of Parasitology and Tropical Medicine 1-2 March, Casuarina Hotel, Ipoh. Lat-Lat H., Hassan, L., Sani, R.A., Hishammfariz, M., Ng, V. and Sheikh-Omar, A.R. (2006). Outbreaks of lungworm disease in a cattle farm in Malaysia between 1994 and 2000. In: Proceedings of 18th Veterinary Association Malaysia Scientific Congress 25-27 August, Hotel Pan Pacific, Kuala Lumpur, Malaysia. Saw Bawm, Takahashi M, Endo T, Mitani T, Ueda K, Nakatsuji H, Kondo S (2005). “The effect of stocking rate and initial sward height on the species and population of soil animals and nitrifying bacteria under set stocking by lactating dairy cows”. Presented at the Annual Meeting of Japanese Grassland Science, March 24-26, 2005, Tsukuba, Japan. Tin Tin Myaing, A.A. Saleha, Raha, A.R. and Arifah, A.K. (2002). Antibiotic Resistance and Plasmid carriage among Escherichia coli isolates from Chicken meat in Malaysia. Book of Extended Synopsis. International Symposium on Application of Gene-based Technologies for Improving Animal Production and Health in Developing Countries. IAEA-CN-110/08, pp. 93-94. IAEA, Vienna International Center VIC, Vienna, Austria. Tin Tin Myaing, A.A. Saleha, Raha, A.R and Arifah, A.K. (2002). Antibiotic Resistance and Plasmid carriage among Escherichia coli isolates from Chicken meat in Malaysia. In: Application of Gene-based Technologies for Improving Animal Production and Health in Developing Countries. Ed. by Harinder P.S. Makker and Gerrit J. Viljoen. pp. 521-527. IAEA, FAO. Springer, The Netherlands.2005 IAEA. Tin Tin Myaing, Saleha, A.A., Ganapathy, K.K. and Zulkifli, I. (2002). Occurrence of Antibiotic Resistant Escherichia coli Isolated from Chickens given Feed with and without Antibiotics. pp. 107. In: Proceedings of 12th Federation of Asian Veterinary Association (FAVA) Congress in conjunction with 14th Veterinary Association Malaysia Congress. Malaysia. Tin Tin Myaing and A.A. Saleha (2001). Evaluation of Three Microbial Growth Inhibition Tests in the Detection of Antibiotic Residues in Chicken Meat, In: Proceeding of 2nd International Congress/13th VAM Congress and CVA-AUSTRALASIA/OCEANIA Regional Symposium, 153-157, Malaysia. Tin Tin Myaing, Raha, A.R., A.A. Saleha and Arifah, A.K. (2001). Antibiotic Resistance Pattern and Plasmid Profiles of Escherichia coli isolated from Raw Chicken Meat in Selangor. In: Proceedings of 13thNational Biotechnology Seminar. 530-534. Malaysia.